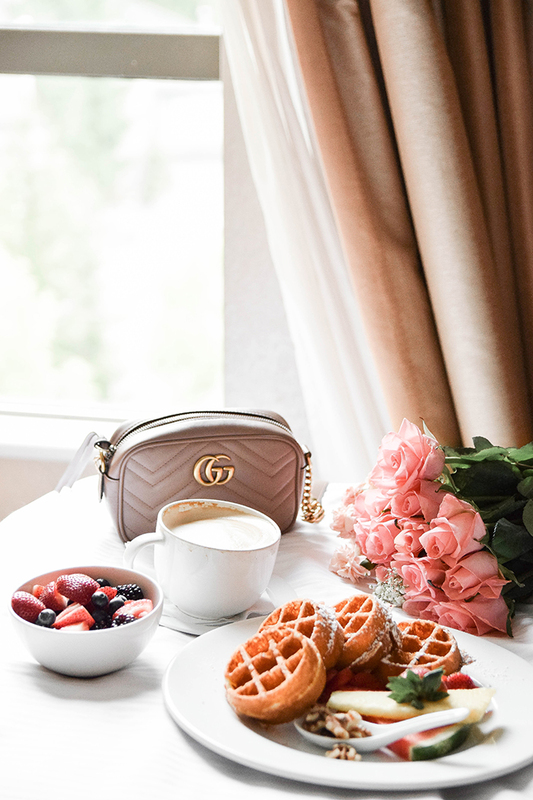 With the hustle and bustle of our everyday lives, my good friend Sydney and I decided to play hookie and head to Whistler for the night for some much needed relaxation and overall quality girl time with Go Whistler. 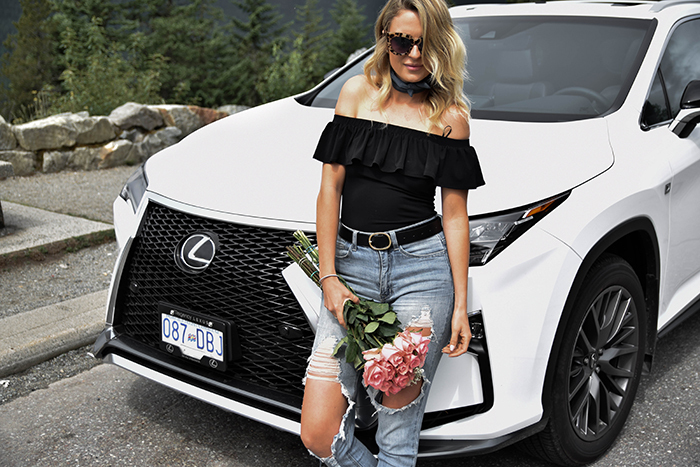 We had the most amazing time experiencing just the tip of what Whistler has to offer. Danny and I go to Whistler every year but always in the winter so going in summer was a new experience for me. Everything from the gorgeous mountainous views, yummy food, and calming lake waters was perfection and the perfect mid-week break from our crazy lives! 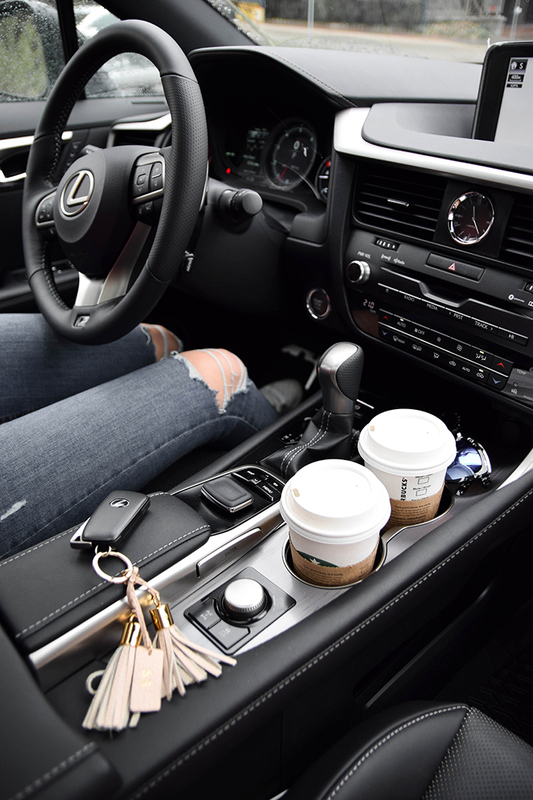 The road trip started with a much needed caffeine hit of course! 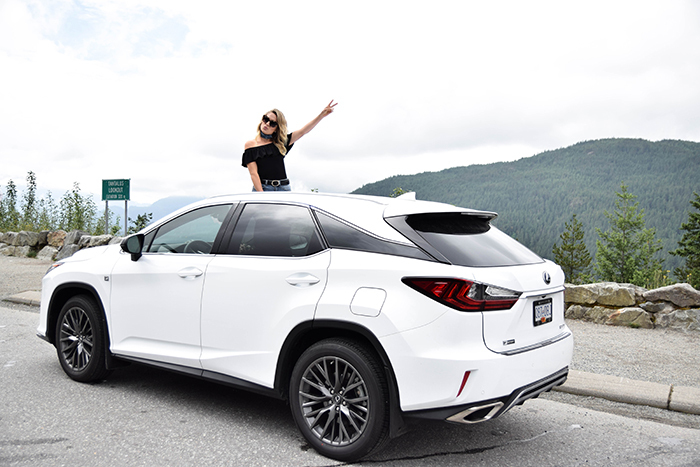 We picked up a couple lattés and head to breathtaking sea to sky highway in the new Lexus RX from Regency Lexus. It was one of the smoothest drives and offered us stability and comfort for our 2 hour trip into the village. 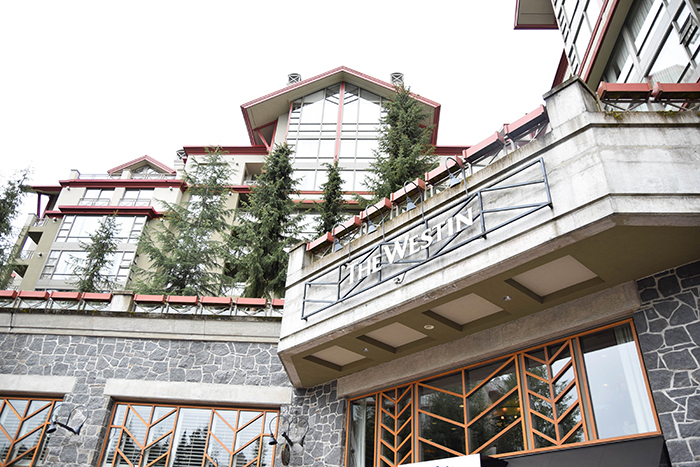 We checked into the Westin Whistler which was absolutely gorgeous! Spacious rooms and beautiful mountain views. 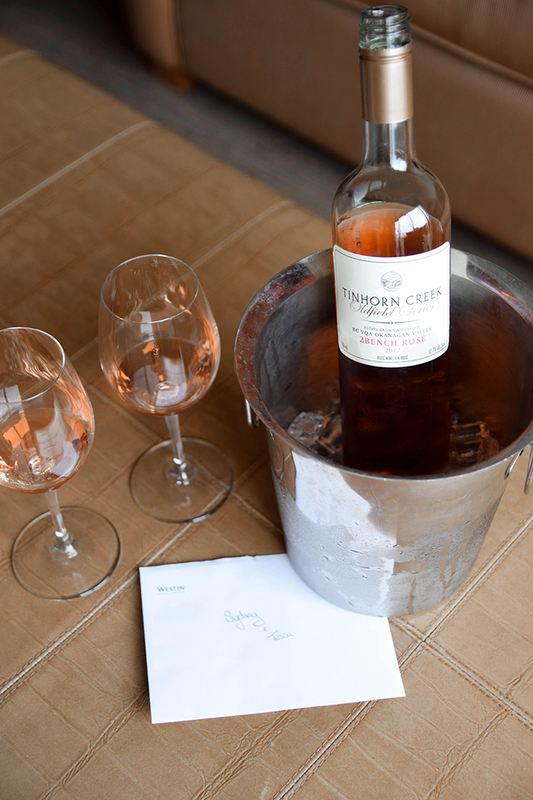 We also had the most amazing welcome with one of my favorite wines and a delicious fruit plate. We took some time to tour around the village, browsing the little shops and cafés, then stopped in for lunch at Bar Oso for some amazing spanish tapas and refreshing cocktails. 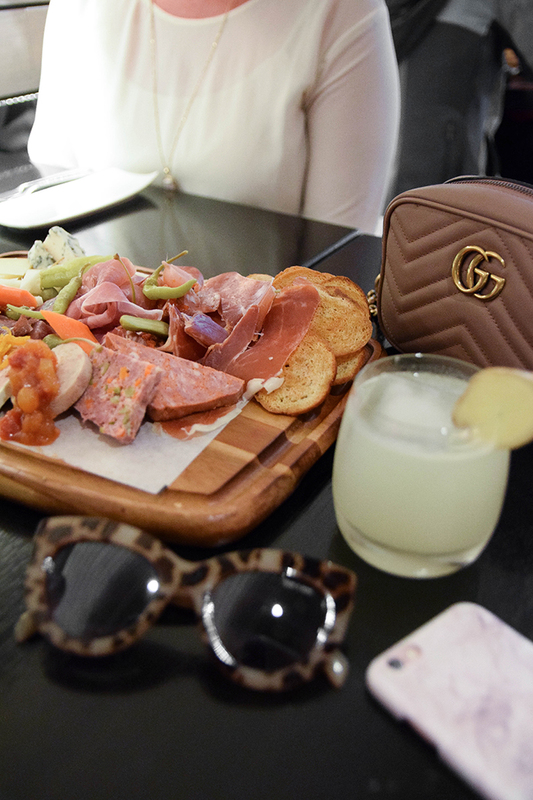 Bar Oso is the new sister restaurant to the famous Araxi. 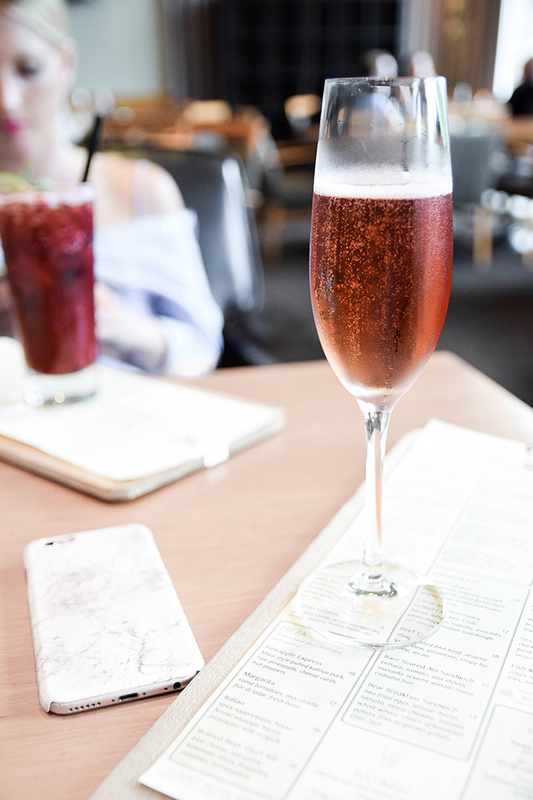 It's adorned with gorgeous floors, marble countertops, and geometric chandeliers - perfect for lunch with the girls or date night with your beau! Bar Oso also has the cutest little bar at the front with windows that open up to the walkway so you can sip a handcrafted cocktail and watch the people as they stroll by. 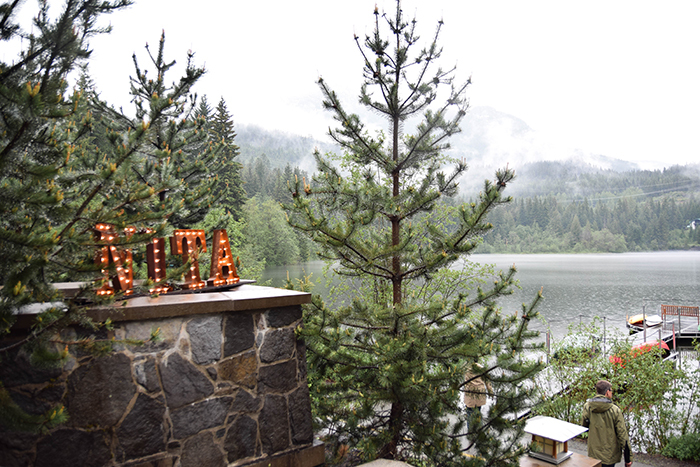 After lunch we headed to Nita Lake Lodge to experience their lakefront property and spa. I was blown away! It was even more beautiful and adorable than I had imagined. They are also super dog friendly with pup beds and bowls located throughout the lodge so I definitely plan on coming back with Gigi! We indulged in an ila kundalini massage which was suuuuper relaxing (no really, I fell asleep on the table!). After our treatments we spent some time on their rooftop jacuzzi deck taking in the gorgeous surroundings. 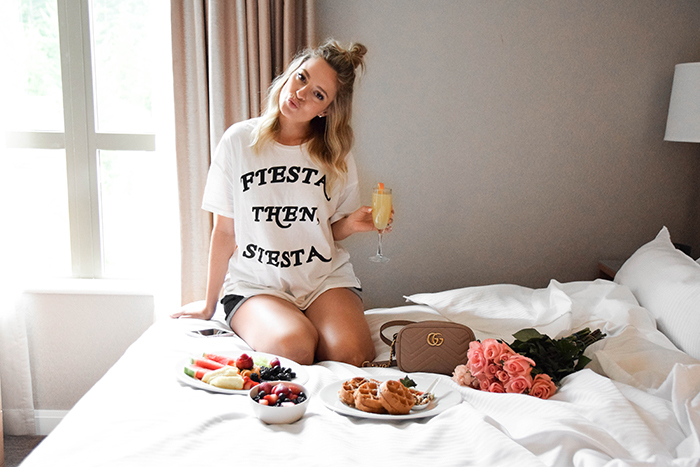 Once we arrived back to the hotel we took our time getting ready and of course sipping on more rosé on our patio. 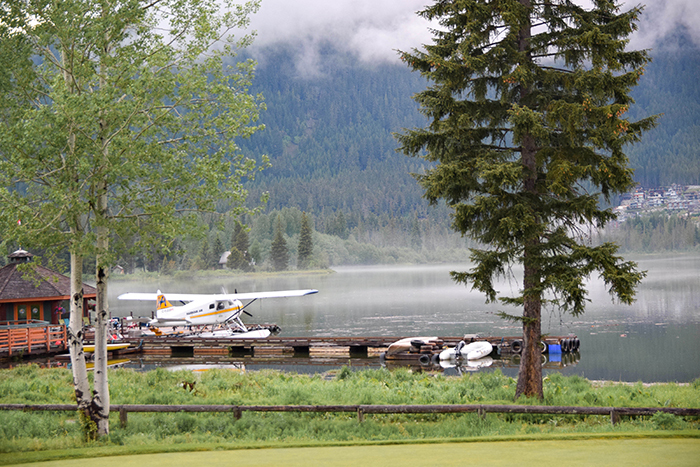 For dinner we went to Table Nineteen which is also located on a beautiful lake complete with float plane. We had originally planned on sitting on their patio but the rain had other plans. We sipped cocktails and had some much needed catch up time. When I come back I will definitely try to get a spot outside because you really can't beat their lake view. 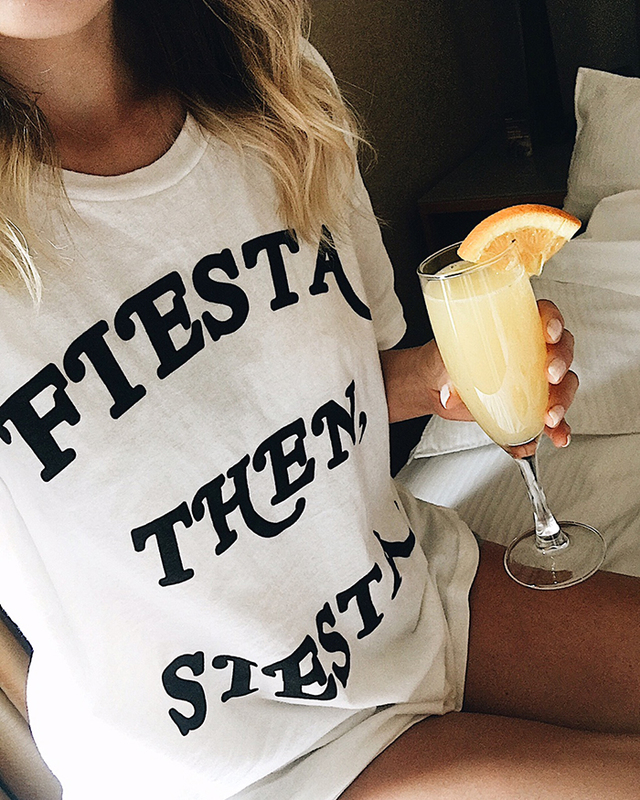 The following morning was probably my favorite part of the whole trip, mimosas, Belgian waffles, and fresh fruit all from the comfort of our big comfy beds. 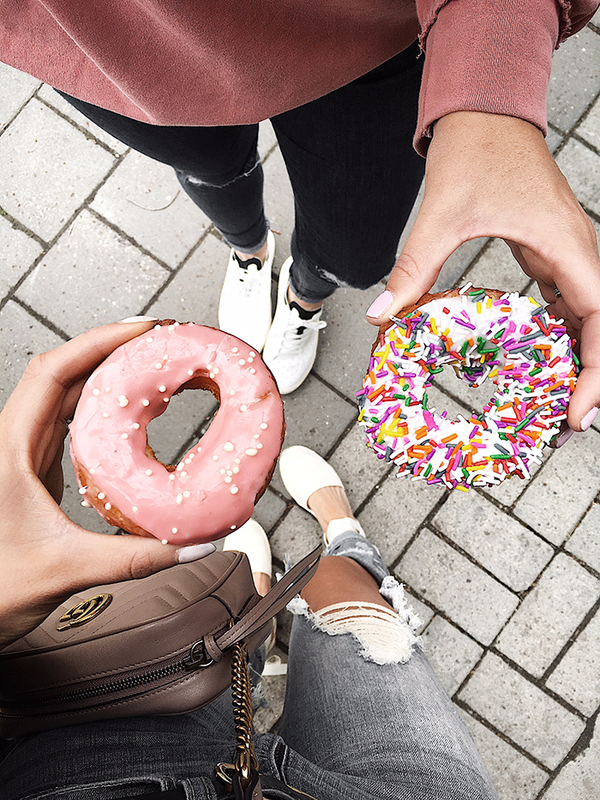 A quick donut pit stop at Portobello Market and we were on our way back to the city! Overall we had the most amazing quick little girls getaway to Whistler and in a short 2 hours we were back home. The perfect way to escape and relax right in our backyard. 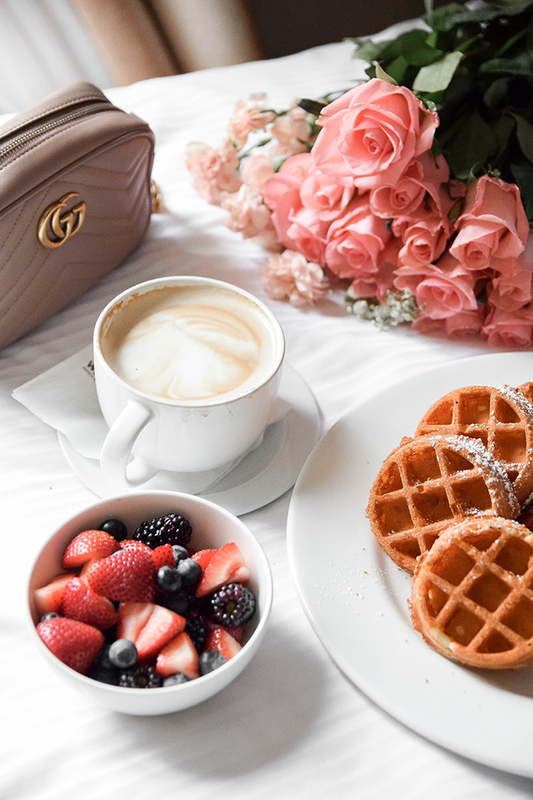 Thank you to Go Whistler for partnering on this post.